Tooth-like structures on the skin of a South American fish might serve as high-velocity water-flow detectors. GLOM ARTISTS: These finger-length South American catfish are able to sense fast-flowing water and adhere to a nearby surface in response.COURTESY OF DAPHNE SOARESAfter spending all day trapping catfish in a dark cave near a cloud forest in Ecuador, neurophysiologist Daphne Soares and a graduate student emerged late in the evening only to find their exit route from the cave blocked by members of a tribe engaged in a ceremonial gathering. “They were all covered in mud . . . and they were so incredibly surprised” to see a couple of researchers with headlamps and fishing gear, she says. Soares and her student walked past, having collected what they were looking for, and made their way to a makeshift laboratory—“a chicken coop with a generator”—they had set up a few miles away. 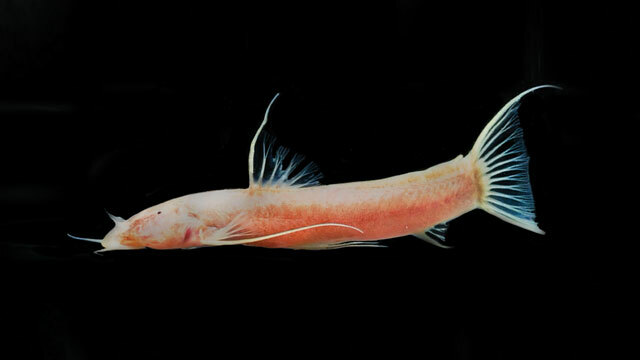 Soares had come to this part of South America searching for Astroblepus pholeter, one of a number of Andean catfish that dwell in fast-flowing streams. 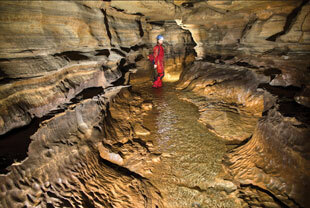 Daily, the Jumandy Cave floods from heavy rains; water gushes through the cavern and into a recreational swimming area. For years, Soares, a professor at the University of Maryland, had visited the cave to study the ways in which this species had adapted to its dark and turbulent environment. Fish typically employ mechanoreceptors called neuromasts, which make up a sensory stripe along the length of the fish’s body called the lateral line, to detect movement or vibrations in water, but A. pholeter doesn’t have an abundance of neuromasts, Soares says. What they do have, she eventually observed, are little joysticks popping out of their skin: a form of dermal teeth called denticles that cover their heads and backs. Like teeth, to which they are related, denticles consist of a central cavity made of pulp surrounded by dentine and enamel. Each denticle sits in a little pit on the surface of the fish’s body. A common type of denticle was first characterized in the 1930s, but the type that Soares observed was first described by Scott Schaefer of the American Museum of Natural History in New York City about 10 years ago. “These structures are found elsewhere in the family” of astroblepid catfish, he says, on species that don’t live in caves, but only on their heads and faces. In a 2002 paper, Schaefer proposed that his denticles (which he termed “type II odontodes”) might have a sensory role, but only recently did Soares probe what exactly it might be. “It was a big surprise, because I expected all these lateral line organs, and then I found something I didn’t see before,” she says. SPELUNKING FOR SCIENCE: Researcher Daphne Soares navigates flowing waters within Jumandy Cave, Ecuador, in search of catfish to collect and study.COURTESY OF CHUCK SUTHERLANDWorking in collaboration with American and Ecuadoran scientists, Soares collected several of the finger-length cave catfish—sometimes by begging and bribing local fishermen—and brought them to her rustic electrophysiology lab. Using electrodes, she and her students recorded activity in two major nerves that run along the back from the bases of the denticles to the brainstem. When the researchers stroked the fish with soft bristles, the nerve cells responded by firing off action potentials. 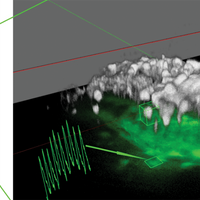 That response was abolished after researchers gently scraped off the rods of the denticles, indicating that the denticles were organs sensitive to a moving tactile stimulus. The group then investigated how scraping off the denticles affected the fish’s behavior. Normally, in the presence of flowing water the fish oriented upstream into the current and adhered themselves to the substrate—the glass of the tank in this case. But fish devoid of denticles no longer grasped the glass. 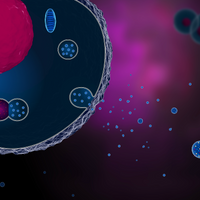 “They needed that flow information to figure out how to stick to the substrate,” Soares says. 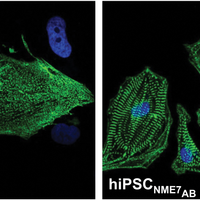 “If you’re going to demonstrate a novel sensory system, you’ve got to show the physical stimulus is there, which is clear in this case,” says John Montgomery of the University of Auckland, who studies the lateral line in fish. “These animals are living in fast-flowing water, so it’s a biologically relevant stimulus for them.” Soares says it’s possible that the fish adapted the denticles as a replacement for the lateral line in detecting water movement. The lateral line is considered rather sensitive, says Montgomery, and “one of the problems is that it gets saturated at high flows. 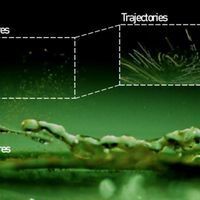 It may be that bringing in another sensor of these high flows circumvents these problems.” In other words, perhaps mechanosensory denticles may function better as high-velocity flow detectors than do neuromasts for animals living in fast currents.